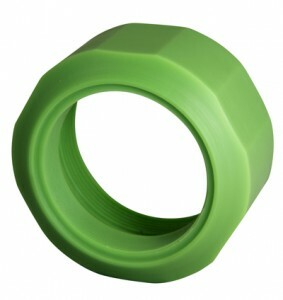 When maintenance lubrication is difficult or impossible, Nylatech Oil provides true lubrication at the bearing surface. This special formulation limits moisture absorption, making it well-suited for submerged products or critical tolerance applications. Why Nylatech Oil? It has a low coefficient of friction, reduced “slip stick,” and low moisture absorption. Also, Nylatech Natural Oil is unpigmented, off-white in color, and conforms to food grade certifications including FDA Regulations 21 CFR, Sec. 177.15 and USDA 3A Sanitary Standards 20-17 for direct contact with food. Also available, Nylatech Moly-Oil provides high compressive strength and load bearing qualities, and has the advantages of a liquid lubricant. It’s specially suited for high load or low RPM applications. Nylatech Oil is certified to conform with ASTM-D5989 specification and requirements for 21 CFR 177.1500 of the US FDA. Learn more about Nylatech Oil or the full line of Nylatech cast nylon products on our website.